In short, to-the-point chapters, Practical C++ Programming covers all aspects of programming including style, software engineering, programming design, object-oriented design, and debugging. It also covers common mistakes and how to find (and avoid) them. End of chapter exercises help you ensure you've mastered the material. 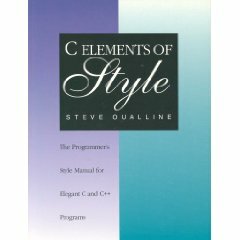 Steve Oualline's clear, easy-going writing style and hands-on approach to learning make Practical C++ Programming a nearly painless way to master this complex but powerful programming language. This is the complete reference to the Vim text editor. This is the most powerful editor I've ever seen, but most people use only a small part of it. If you program, reading this book will improve the speed and effectiveness of your programming. Note: The link takes you to the Vim home page so that they get any referral money if you buy the book. Vim charges nothing for the software, they only ask that you donate to ICCF if you like it. So I don't mind throwing a little money their way. 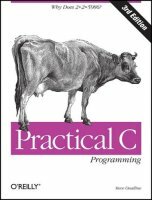 If you know C or C++ this book teaches you perl. One of the most interesting things I learned writing this book is how simple the perl language is if you ignore the fact that there's twenty seven different ways of doing things. If you concentrate on one best way, things are easy. Perl is not as complicated as people make it out to be once you think about it. This book is currently out of print, but a free-one line one is available in the Free Books section of this web site. This is a puzzle book which contains over 100 broken programs. All of them except one compile and run, they just don't do what the programmer intended. Your job is to figure out what they don't work. For a preview of what's in store for you visit the Gallery of Broken “Hello World” programs. My first book. 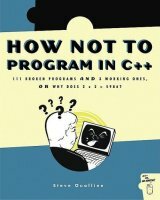 When I was teaching C programming, I didn't like the fact that every other book out there said, “Type this in. It works.” No one learns programming by typing in working programs. You learn programming by sweating over a piece of broken code until 2:00AM to find out what went wrong. Then you have learned. This book is my effort to teach people not only C syntax, but how to locate and correct errors. It also contains lots of practical information for people who are about to enter the real world of programming. I have fun with Perl creating useful utilities and other software. (Some of which you can find in on the downloads page.) This book let me share them with the rest of the world. This book teaches you how to program Windows 3.1. Of interest to those of you wanting to see what it was like before Microsoft “improved” things with Windows-95. My second Linux. A little dated, but still contains a lot of basic information on how to get started with Linux. An early book for the Linux novice. 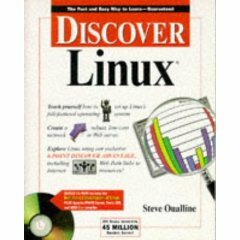 Even though this is dated, the book contains lots of practical advice for searching through the various forms of Linux documentation to figure out what a program is doing.